MANILA, Philippines — The Philippines and Japan signed on Wednesday signed the ¥9.399-billion loan agreement for the construction of the third phase of the Arterial Road Bypass Project designed to ease traffic congestion in Bulacan. The Arterial Road Bypass, also known as the Plaridel Bypass, is a 24.61-kilometer arterial road that will link the North Luzon Expressway in Balagtas, Bulacan to the Philippine-Japan Friendship Highway, also called Maharlika Highway, in San Rafael, Bulacan. It will bypass the town proper of Plaridel and the urban areas of Pulilan, Baliuag, and San Rafael (all in Bulacan) along the existing Maharlika Highway. The project’s first component was completed in November 2012, while phase two is nearing completion and is expected to be inaugurated in May this year. The Philippines will provide counterpart funding of P1 billion or around ¥1.476 billion (equivalent to $15 million) for the project, which has a total cost of ¥10.87 billion or about P5.26 billion (approximately $104 million), the DOF said. The agreement for Phase 3 of the project provides for interest rates of 1.5 percent per annum for non-consulting services and 0.01 percent per annum for consulting services with a repayment period of 20 years and a 10-year grace period. 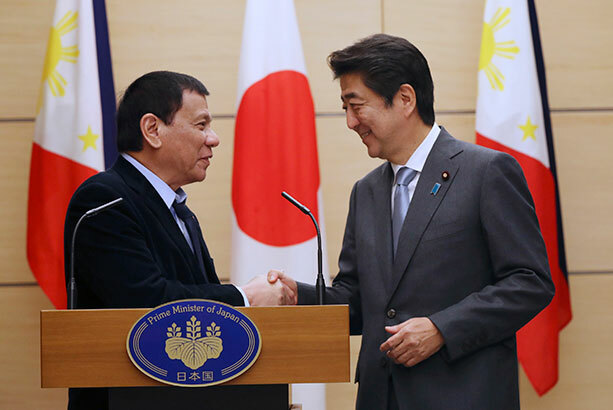 As he charts an “independent foreign policy” while lessening his country’s dependence on traditional treaty ally the US, President Rodrigo Duterte has courted regional rivals China and Japan to foot the bill for his ambitious infrastructure plan. Last week, Socioeconomic Planning chief Ernesto Pernia admitted that when it comes to lending costs, Chinese soft loans, which carry 2-3 percent interest rate “at best,” are more expensive than Japanese loans, which only have a rate of 0.25-0.75 percent.